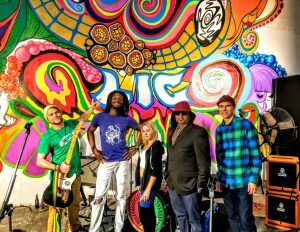 Aqua Cherry is a Reggae Rock Pop band from NY. Their music provides sweet, uplifting, booty-shakin’ reggae grooves infused with a rebellious rock edge. Aqua Cherry lays out a color palette of songs with which to create an immersive live experience. Each show invites the audience to be a part of a special moment together.